Speed and racing have always been app favourites among people of all ages. 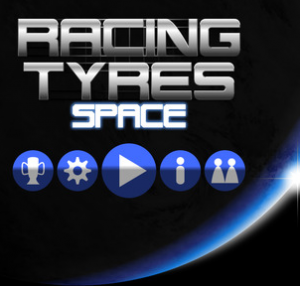 Racing Tyres Space dwells along the same idea, taking the races and the fun into space instead. The challenge is almost irresistible and is sure to get you excited. Unlike typical rolling games, this one needs you to work on a bit of physics. Also, the game has a highly futuristic look and feel, making it worth playing. The controls of the game are extremely intuitive and simplified. To accelerate towards the right, you hold the right side and likewise for the left. All of the controls are based on physics so as to simulate real life. This means the longer you hold down on either side, the faster your vehicle will move. You simply cannot go from a high speed of 220 miles per hour to stop or move to reverse gear. Turning at high speeds can be equally challenging too. There are obstacles flying at you at high speeds that need to be dodged. Colliding with them could cause your game to end almost immediately. The trick lies in good control and manoeuvring of your vehicle. The developers, Olivier PARRA, have done a fabulous job in the design of the app. Everything from visuals to music to controls have been planned out well and implemented right. Getting the controls right can be hard initially. However, you tend to get the hang of it by the end of the first round. You will need a couple of trial runs in order to get yourself well versed with the controls and get the game right. The game has a very futuristic feel to it. 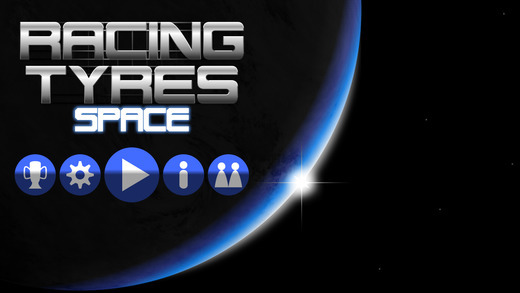 The user interface is mostly in shades of blue, creating a futuristic atmosphere for the game. The game has three wheels that you use to control the game. The first is a blue one which is built for minimum speeds that is required at the higher levels. It comes in handy when a level has too many sharp turns and nooks. The other two are red and yellow. All of this, along with the hip-hop peppy music is sure to keep you addicted for long. 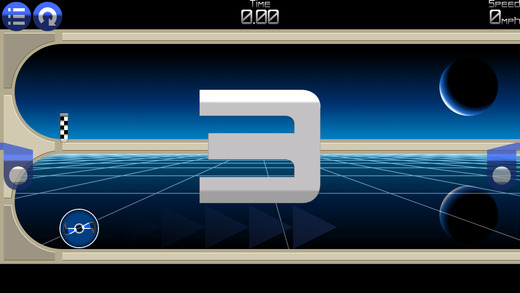 The rhythm of the game is mainly maintained by the fast music. As can be guessed, this too can turn out to be distracting after a point. In those cases, the developers allow you the option of turning it off. This iOS app is for those who have some time to kill and would like to spend it by themselves. 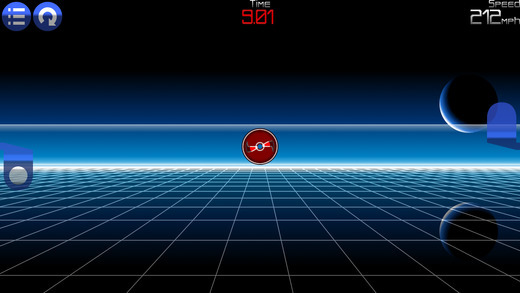 It challenges your mind and encourages you to excel in terms of agility and coordination. It is available for iPhone, iPod Touch and the iPad, requiring iOS 7.0 or later and 25.9 MB of free space on your device. It can be downloaded from the App store for $0.99. Although slightly overpriced, the fun and the excitement it gives is worth it at times. Unless you are a racing enthusiast, then you won’t find the game worth the money.